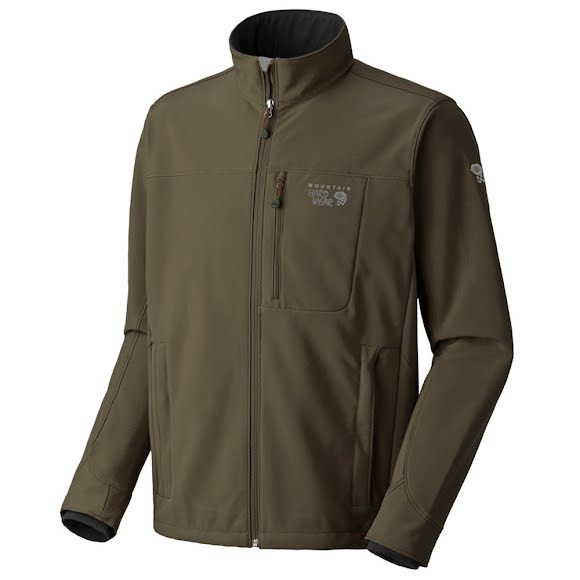 Keep the wind off of you during your outdoor activity with Mountain Hardware's Android Jacket. This athletic and windproof softshell, is designed with a outstanding DWR finish to shed water and snow. Zippered hand and chest pockets make for easy and safe storage of items. Keep the wind off of you during your outdoor activity with Mountain Hardware&apos;s Android Jacket. This athletic and windproof softshell, is designed with a outstanding DWR finish to shed water and snow. Zippered hand and chest pockets make for easy and safe storage of items. 100% polyester, warp knit tricot. 50 denier microfiber yarn knit in a fine gauge construction. Brushed face. Wicking finish. Weight 1 lb. 4 oz. / 567 g.